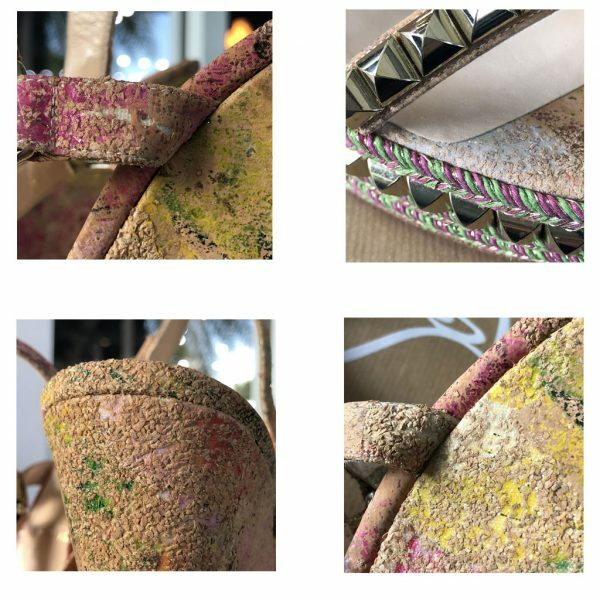 Condition You’re viewing these beautiful, colorful and comfortable Christian Louboutin Cataclou 140 Cork Blooming Multicolor/Studded Wedges. These wedges will fit a size 11. 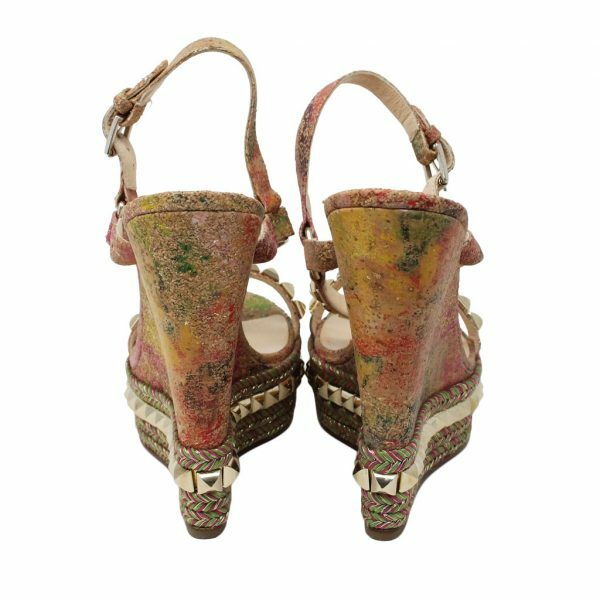 These wedges may have been previously worn, however there are very little signs of wear. Most importantly the Red Bottoms are in excellent condition with no wear to the red, no major scuff marks or imperfections. On the left shoe you will see glue marks from a sticker that has been removed. 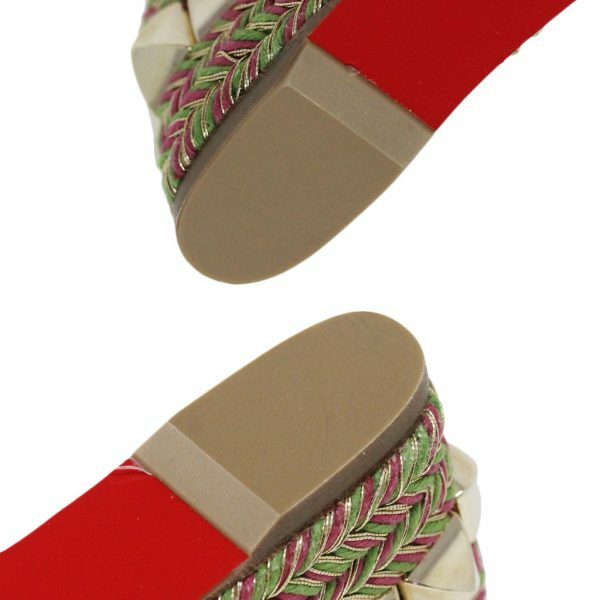 These beautiful multicolored wedges are perfect for the spring and summer season! 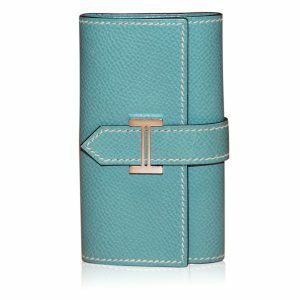 They will match just about everything! 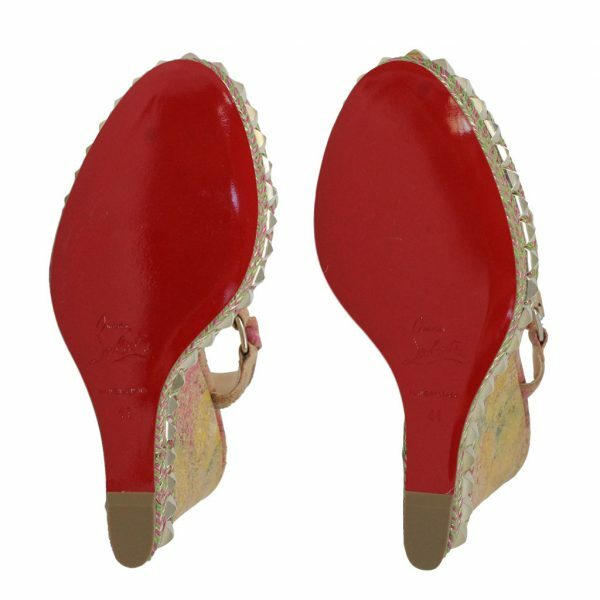 Comfortably adjust the ankle strap to your preference and walk proudly in these beautiful Louboutin wedges. 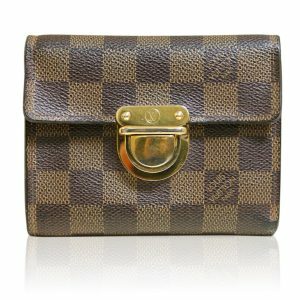 The gold studs are in excellent condition with no visible tarnish, scratches or broken pieces. 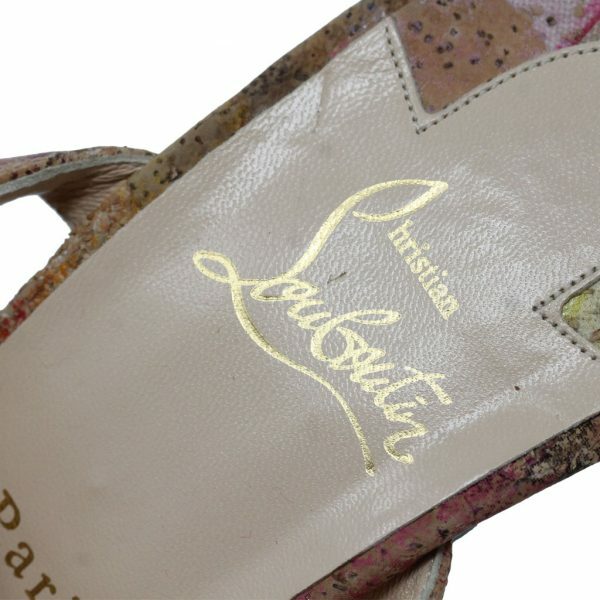 On the tan insoles you will see very faint stains from wear. Some of the actual cork has been worn off from use as well, which you can see in the pictures listed. 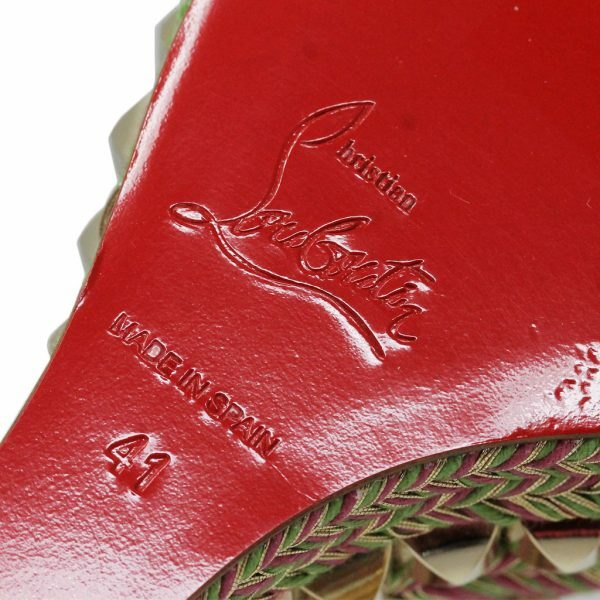 You can’t find these beautiful Christian Louboutin wedges in better condition for this price! Buy these now or make us your best offer. 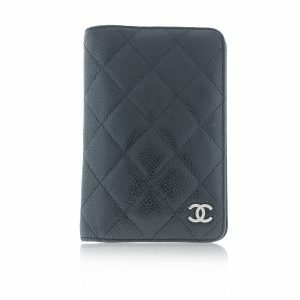 Comes with box, dust bag and 4 additional gold studs.